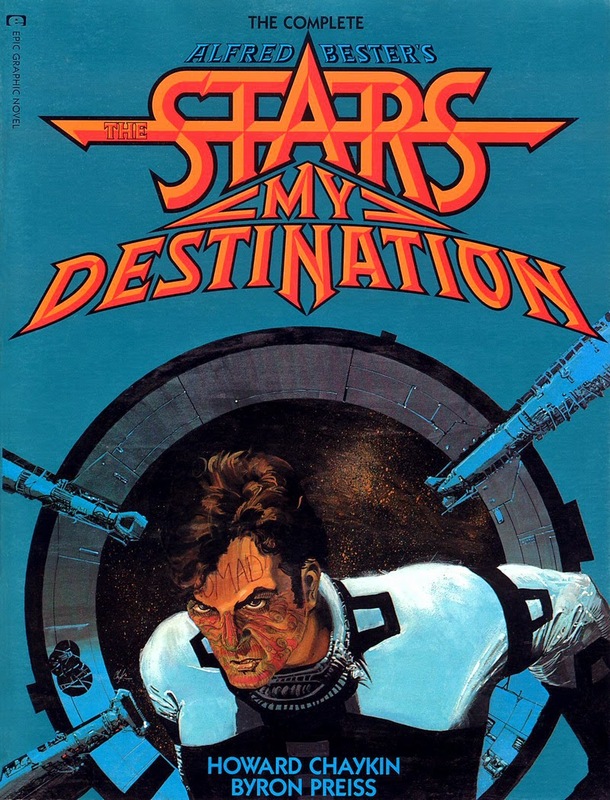 Alfred Bester's "The Stars my Destination" is an old sci-fi novel that I picked up based on the recommendation of reddit. I was promised a gritty anti-hero that "you love to hate and hate to love." I expected a noir space detective novel, I got something much different. The basic premise of "The Stars my Destination" is that the main character was an illiterate and unintelligent dullard up to the events of the first chapter. We find him floating in a small hermetically-sealed tool locker attached to an exploded husk of a spaceship orbiting Saturn. He exists without purpose, until a spaceship approaches, then ignores his flares for help, leaving him to die. Motive of the novel: kill that spaceship. Also, humans have discovered how to teleport themselves with their minds. The rest of the novel follows the man as he transforms from a dullard into a vicious and intelligent animal with destruction on the mind. The writing is, mostly, short and action-packed. Towards the end it can get a bit fluffy and philosophical, but it is well deserved and you should be sufficiently hooked when this happens. The novel never allowed me to be bored but didn't keep me reading with cliche. The character development was honest to the point of being occasionally uncomfortable, and some of the plot decisions made by characters had my blood curdling. Read this novel if you want to play with some cool sci-fi ideas, which is one of the major benefits of the genre. If you want to watch a big man mess some people up, read it. If you like honest dialogue and authors who play with invented dialects, read it.